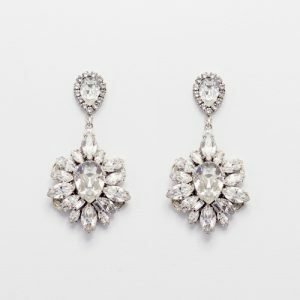 Perfect almond-shaped crystals surround the teardrop dramatically with a flash of brilliance that are red carpet worthy. Crafted with Swarovski elements set on filigree. 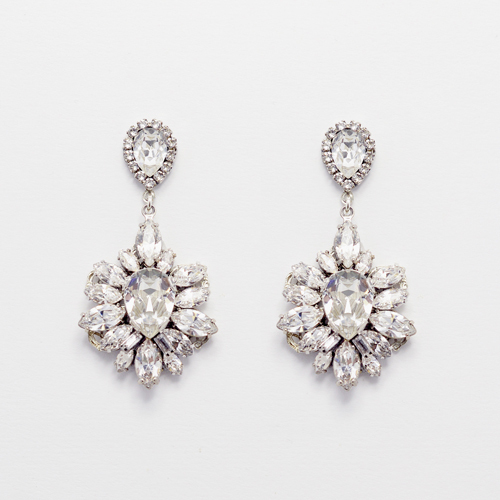 These chandeliers make a dashing companion to the Haute Bride Swarovski Brooch Bracelet. Rhodium plate.